Choosing an Aquarium Filter. Where do we start? 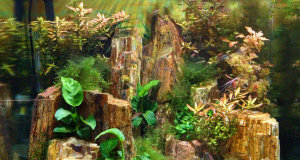 The modern aquarium hobby is full of a variety of options claiming to keep your aquarium cleaner easier, cheaper and more effectively than the next. Like any technology, weeding through what you need and don’t need can be a difficult task. Which is why the experts at That Fish Blog got together to create a complete guide on how to to choose the right aquarium filter for your tank and your situation. Below, we will go into the the types of aquarium filters and highlight some of the main points about each type. We will grade each type on 6 factors independently. Ease of Installation – Let’s face it – some filters can be a pain to install. Some of the more complex versions may require purchasing a drilled aquarium or a separate pump to sustain it. Cost – Cost includes not only the price to purchase the filter, but the cost associated with installing it on your tank. Upkeep – Some filters are basically set it and forget it – others require additional expense or maintenance along the way. Biological Effectiveness – How well do these filters maintain effective biological filtration? 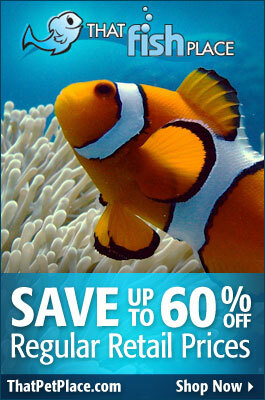 Biological filtration is the most important aspect of aquarium filtration so this matters a great deal. Chemical Effectiveness – Does the filter offer a level of chemical filtration – and how good is it? Mechanical Effectiveness – Does the filter offer a level of mechanical filtration – and how good is it? Noise – Noise can be a real concern for some aquarists and some filters are definitely louder than others. A sponge filter is one of the simplest aquarium filters available. They rate high for ease of installation, but are pretty limited in their effectiveness in all areas of aquarium filtration. 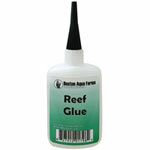 They work with aquarium air pumps too – so you’ll have to purchase one of those. 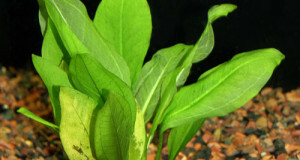 Most aquarists use them exclusively as add-on filtration or in small tanks like quarantine setups or transport tanks. They’re basically bacterial beds – their ability to filter mechanically and chemically is, for the most part, non-existent on most models. Undergravel Filters are a tried and true way of providing aquarium filtration to most size aquariums. They work by providing a gap between substrate and aquarium where beneficial bacteria can grow and thrive – providing consistent biological filtration to your tank. They are controversial however due to the risks associated with large scale biological breakdown underneath the plates. They also require the use of an aquarium air pump or powerhead to keep things flowing correctly and oxygen moving. They’re also pretty much a pain in the neck if you try to install them in an already-established aquarium due to the fact that you have to actually remove the gravel before installation. Given their limited filtration options, most aquarists tend to use them in conjunction with a power filter, canister filter or internal filter to supplement their biological filtration. Also called ‘In-Tank Filters’, these filters typically feature a motor to go along with fairly basic mechanical, biological and chemical filtration options. A favorite of tanks with low water levels and terrariums, these filters can be placed directly inside your tank and offer a higher level of 3-stage filtration than most of the options above. Aesthetically, they don’t blend in the way an Undergravel Filter does, but they still typically have a lower profile in your setup. If there is a ‘traditional’ aquarium filter, the power filter would be it. Brands like Tetra’s Whisper, Marineland’s Penguin & Emperor, & Hagen’s Aquaclear have become household names in the aquarium industry due the ease, convenience and effectiveness of the power filter. A simple, magnetic impeller design combined with easy-to-replace filter cartridges make power filters a very effective for their price and simplicity. A simple hang-on-the-tank profile makes them easy to hide while still providing adequate 3-stage filtration for small to medium-size aquariums. Canister Filters are great for providing a higher level of biological, chemical and mechanical filtration when compared to their power filter counterparts. Larger media areas and more stationary designs let you maintain larger bioloads and to maintain larger tanks in general. They’re also really easy to customize if you’d like to add additional filter media, while their specialized designs ensure a great water-to-media contact ratio so you maximize filter media effectiveness. However, what canister filters add in filtration capacity, they give back a bit in ease of installation, cost and space requirements. These big boys tend to cost a bit more and take up a bit more space under or behind your aquarium. They’re not always a walk in the part to install either. Wet/Dry Filters are the pinnacle of aquarium filtration effectiveness. Most large scale aquariums employ some variation of wet/dry filtration in conjunction with an external sump system to maintain crystal clear, biologically sound environments in both fresh or saltwater. Their higher ratings for chemical and mechanical filtration are derived from the idea that, given that it’s a large, external sump, you can quickly and easily add large amounts of filtration pad or chemical media to facilitate your tank’s clean-up, but water contact is not ensured the way it is in a canister filter. But these filters are not for the timid. Large wet/dry sumps take up a lot of space. You also may need additional equipment or tank modifications to get yours to work correctly. Make no mistake, wet/dry filtration is the gold standard for biological aquarium filtration, but be prepared for a more complex installation, a higher starter cost, and greater space requirements than the other filters on this list. So there you have it. Now that you’ve made it this far – we’ve thrown together our recommendations in a handy infographic as well. You may also check out our filter guides for information on specific types. Good luck with your filter purchase and aquarium setup. As always, if you have any questions – please shoot us an email at marinebio@thatpetplace.com or give us a call at 1-888-THAT-PET. wow I am continuously amazed at the quality of your articles.. Great job. Thank you, Bill…we’re glad to hear you enjoy our blog. Feel free to let us know if there are any topics you’d like us to cover in the future! Highly informative and helpful tutorial. Mainly the internal aquarium strategies and power filters that are cost effective, easily and feasibly installed and more biologically stable! Truly phenomenal categories to choose from. Eileen!! Highly informative and helpful tutorial. Mainly the internal aquarium strategies and power filters that are cost effective, easily and feasibly installed and more biologically stable! Truly phenomenal categories to choose from. Thanks for this informative post. Thanks for sharing this. People are really confused while choosing Aquarium filter. Above points are really helpful to analyze and choose perfect aquarium filter without any hesitation.